Used to reduce and control the flow of inputted fluids and gases, flow regulators will allow your application to output to a specific value, making these parts the ideal components for the aerospace, aircraft, food, gas, mining, oil, propane and water industries. Our entire range of Midland components are manufactured to NACE MR-01-75 standards, and have options of fitted with tamper proof caps and built-in silencers for complete peace of mind. You can also choose from non-lubricated air, inert gas and sweet (natural) gas, filtered lubricated, or sour gas versions. 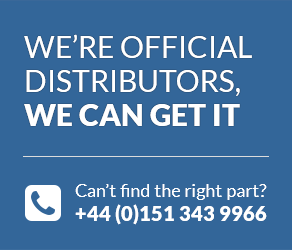 And because all our components can be delivered direct to your door by the next working day, you can continue your process without unnecessary delay. 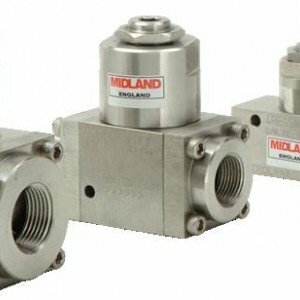 When it comes to fitting a flow regulator for a vital process in your system, we know that only the very best components will do, and that’s why we trust the industry experts at Midland to supply the very best in stainless steel flow regulating instrumentation. The ACS Model 4500 alone comes in eight different variants, and whilst each of our products comes with its own downloadable TechSpec for you to study at your leisure, we appreciate that you may have a number of questions specific to your process before placing an order. To this end, we ensure all of our staff are fully trained, who are always happy to lend their expertise. Just drop us a message anytime online, or pick up the phone and call our experts on +44 (0) 800 328 8511.